I feel like I should title this "The Cambridge Geek sort of reviews". 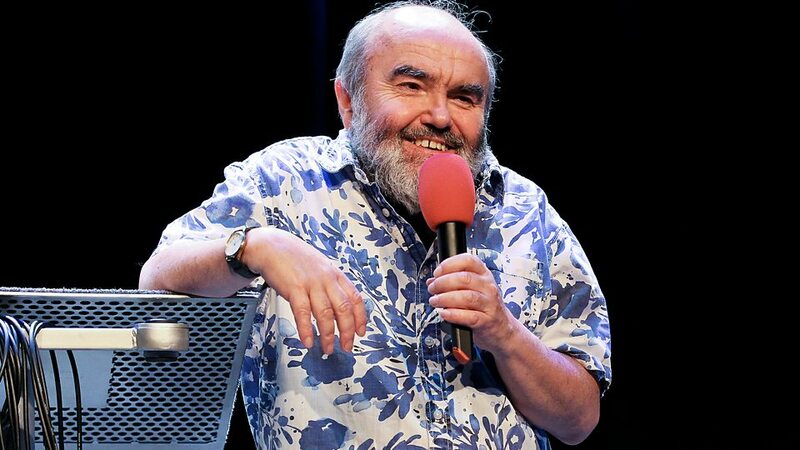 Andy Hamilton has been a personality in British radio comedy for a very long time. His credits are many and varied, but the one most important to me is Old Harry's Game, a devilishly charming series about Satan and the trouble he has with those naughty sinners. Not sure there'll ever be any more of it, which is a shame. But at least in the meantime we've got this fun little series. The Radio 4 memoir is currently in vogue, apparently, with Robert Webb's last month, and Sarah Millican's currently running. This, however, isn't a straight memoir. It's a combination of bits of Andy Hamilton's history, his philosophical thoughts about life in general and a few massive fibs. Sprinkled throughout with some excellent jokes. The theme of the first episode is childhood, so we get his kids, his first creative efforts (which tend to indicate psychopathic tendencies) and how things are rather different between then and now. Naturally this includes no small amount of satire. It's a very satisfying listen for two, possibly three reasons. Firstly, he's got a very unusual voice. As Satan himself would tell you, he's a little nasal, but it's very distinct, and weirdly enjoyable to listen to. That runs into reason two, which is that he's a wonderful storyteller. You could easily imagine him sat by the fire in a pub, holding forth, and you'd be prepared to listen to him for a good long while. It might be a talent derived from his years of writing comedy. You get a feel for the ebb and flow. But thirdly, and most importantly for radio comedy, he's funny enough to make me laugh out loud while crammed into a packed bus, which resulted in me getting an unexpected extra six inches of breathing room. Absolutely worth it.